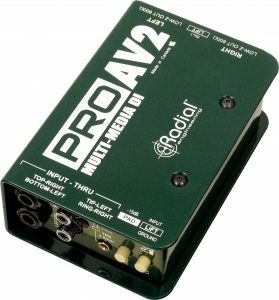 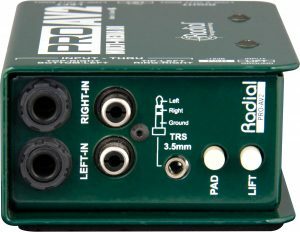 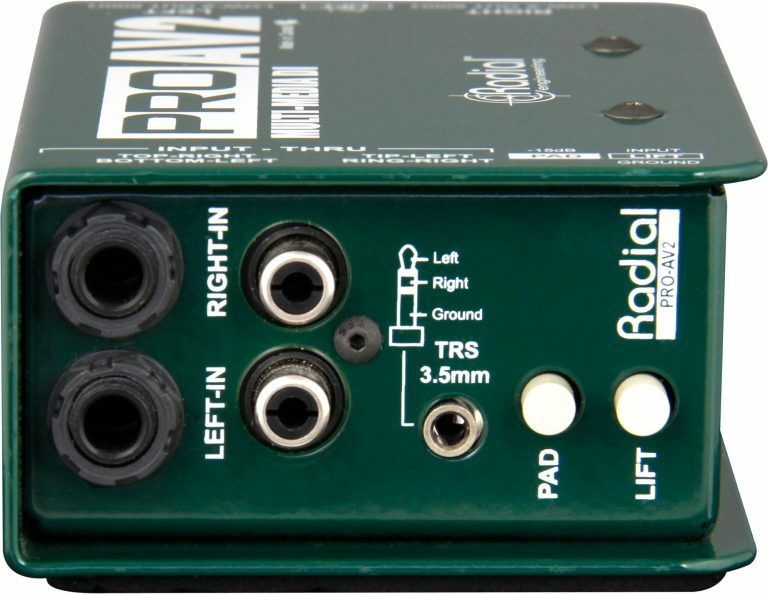 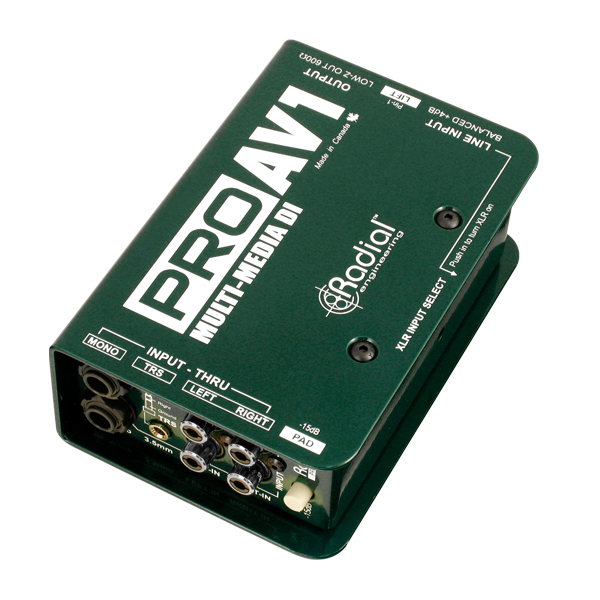 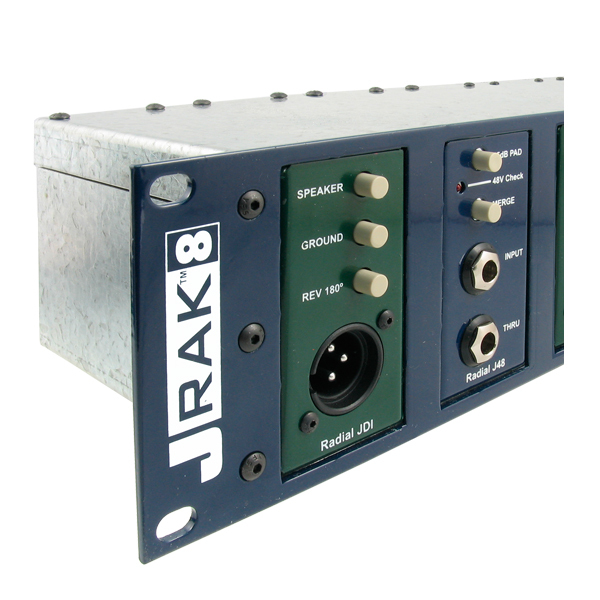 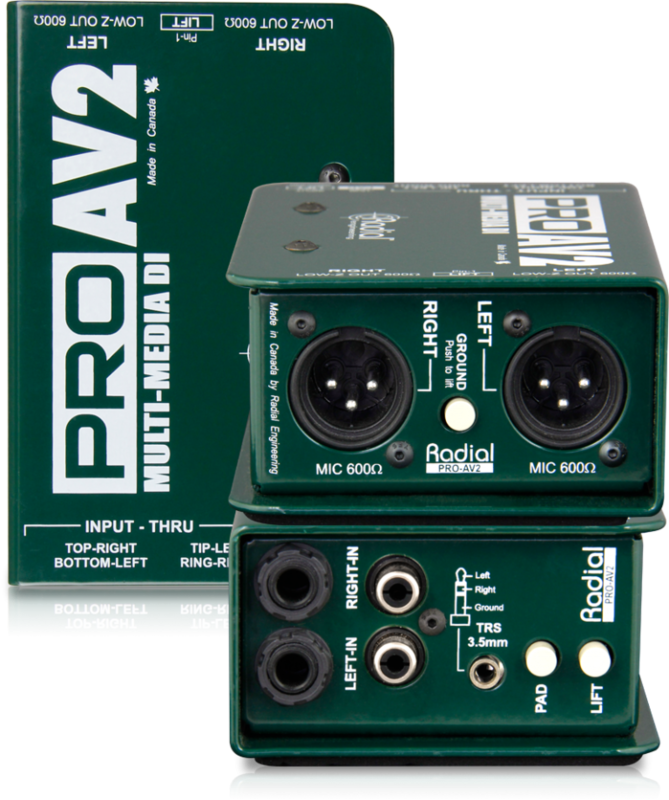 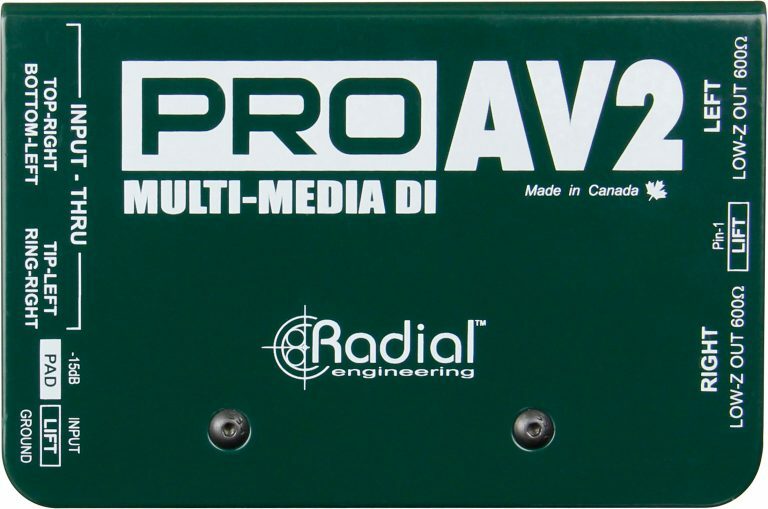 The ProAV2 is a stereo passive direct box designed for audio-video integrators and technicians, with an array of input connector options to easily interface with a wide range of audio equipment. 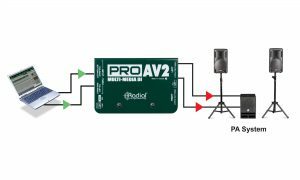 The ProAV2 is an indispensable device for live sound engineers and audio-video technicians alike, with the ability to seamlessly interface nearly any device with a pro audio system. A 3.5mm stereo input jack and dual 1/4" and RCA connectors ensure that you won't ever be hunting around for adaptor cables, while ultra-quiet performance with transformer isolation helps eliminate hum and buzz from ground loops. 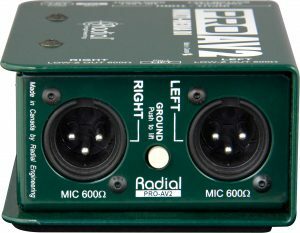 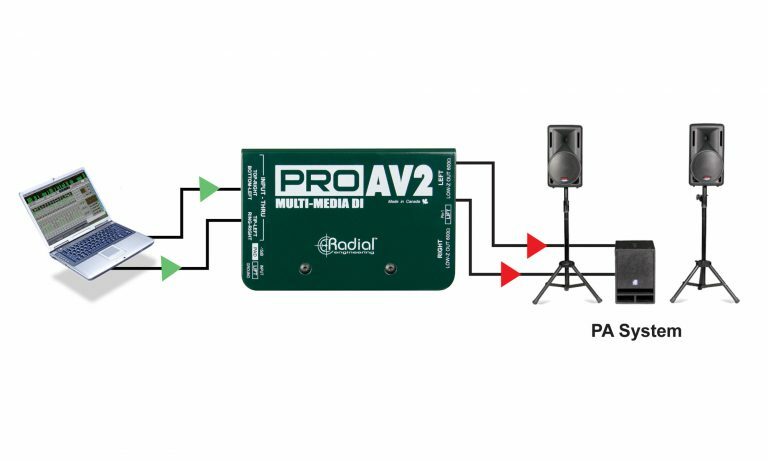 The ProAV2 maintains stereo separation and exhibits linear frequency response from 20Hz to 20kHz, with balanced mic-level XLR outputs that allow you to send signals through a multichannel audio snake on stage or into two channels of a mixing console. 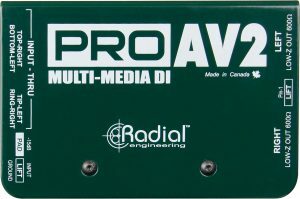 The ProAV2 operates in true stereo (dual mono) making it ideal for stereo devices like laptops and DVD players. 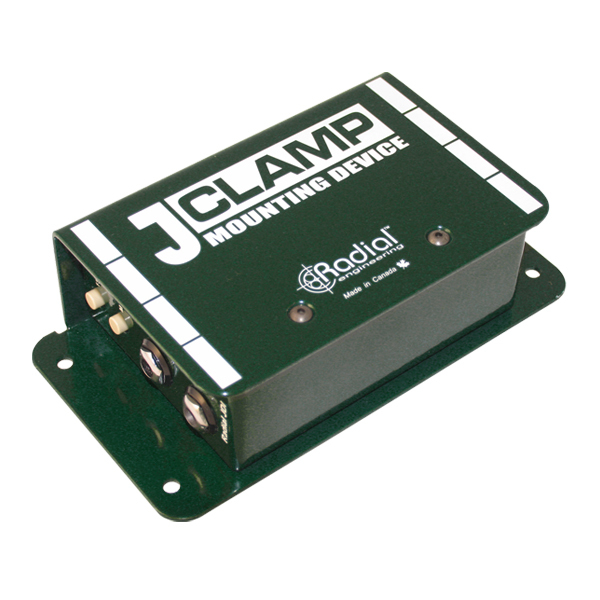 Just like the ProAV1 you can connect with phone, RCA and 3.5mm jacks, quick and adapter-free.